Eden Hazard says he is torn between signing a new deal at Stamford Bridge and a "dream" move to Real Madrid. The Belgium forward has two years remaining on his contract with Chelsea, but was linked with a move to the European champions in the summer. 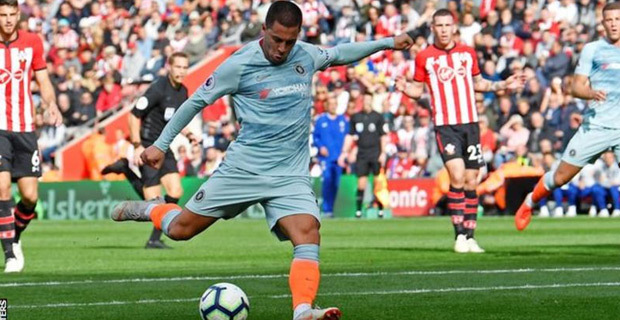 Hazard has scored seven times in the Premier League already this season. Chelsea are second on the English Premier League points table with 20 points while Manchester City is first also with 20 points and Liverpool is in third place with 20 points. Chelsea will now take on Manchester United at 11pm this Saturday.